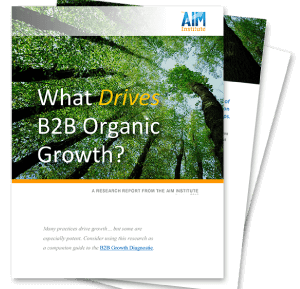 Does your B2B company serve many market segments? Each is very different from consumer goods markets… and from each other. 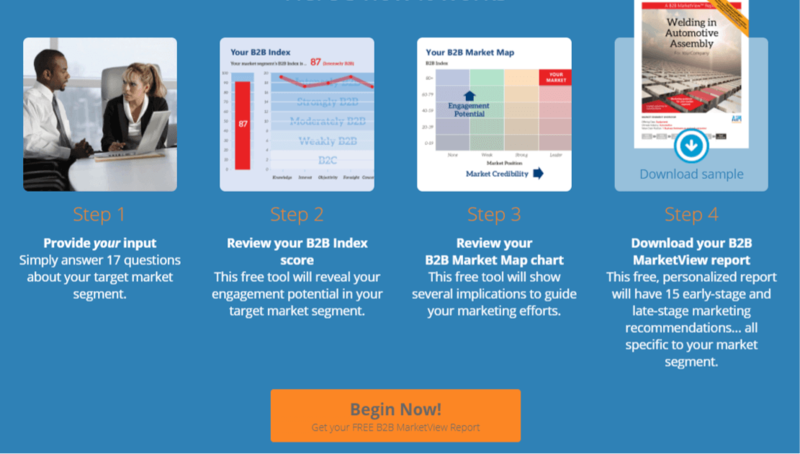 Now you can see “how B2B” each market segment is by calculating its B2B Index. Just answer 17 questions for your 1-to-100 score. You’ll also receive advice on 15 different marketing/innovation tasks in a downloadable 16-page PDF report. All customized to your market. All confidential. All free. Should we pay for a pricing survey? Should we promote with social media? Should we apply Lean Startup? Answering such questions without understanding the B2B nature of your market leads to costly mistakes. 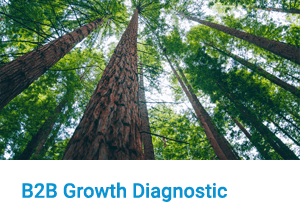 But you can use the B2B MarketView Diagnostic to avoid wasting time, money, and reputations on ill-chosen initiatives. Check out examples of the bad decisions you’ll be able to counsel against. B2B marketing. Optimized for your market. Many consider B2C marketers to be more sophisticated than B2B. Too bad: Your B2B customers probably have more knowledge, interest, objectivity and foresight. Isn’t it time to take advantage of your advantages? But copying marketing methods from B2B colleagues practically guarantees you’ll sub-optimize. Every B2B market segment is unique and you need to understand “what matters” about each. This diagnostic changes the game, with market-specific recommendations drawn from a library containing thousands of possibilities. Download the sample report to see how this works. You’ll receive recommendations for optimizing 8 early-stage marketing tasks (understanding needs) and 7 late-stage marketing tasks (promoting solutions). Take about 10 minutes to complete four steps… and you’ll be rewarded with a 16-page customized downloadable report—named as you like it. Your data will be held confidential and we expect nothing from you. 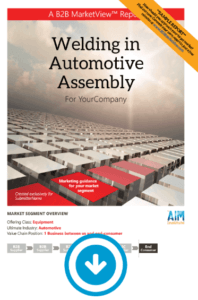 This is a free service of The AIM Institute to promote stronger B2B marketing and innovation practices.